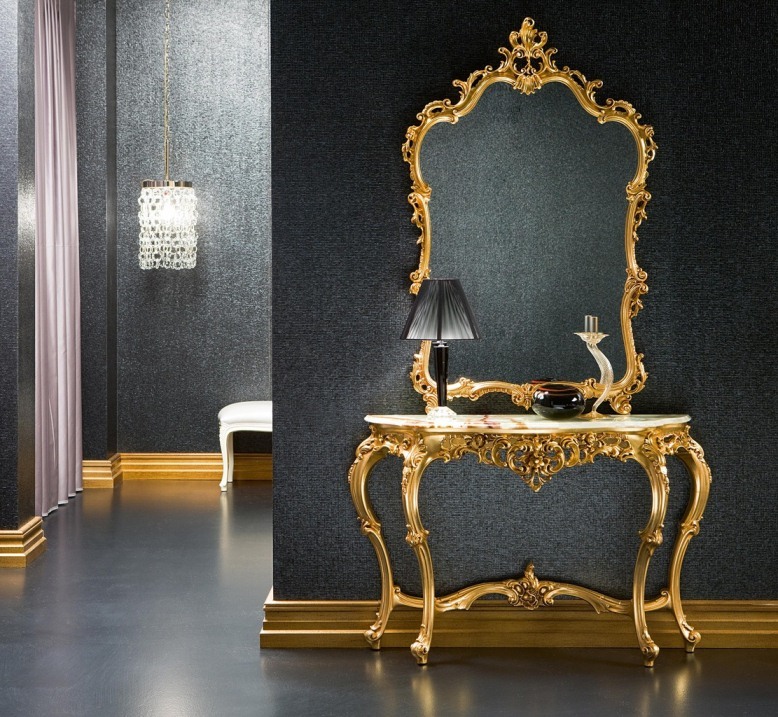 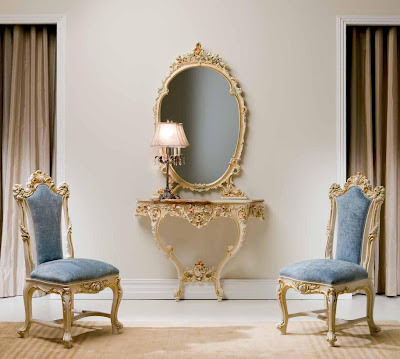 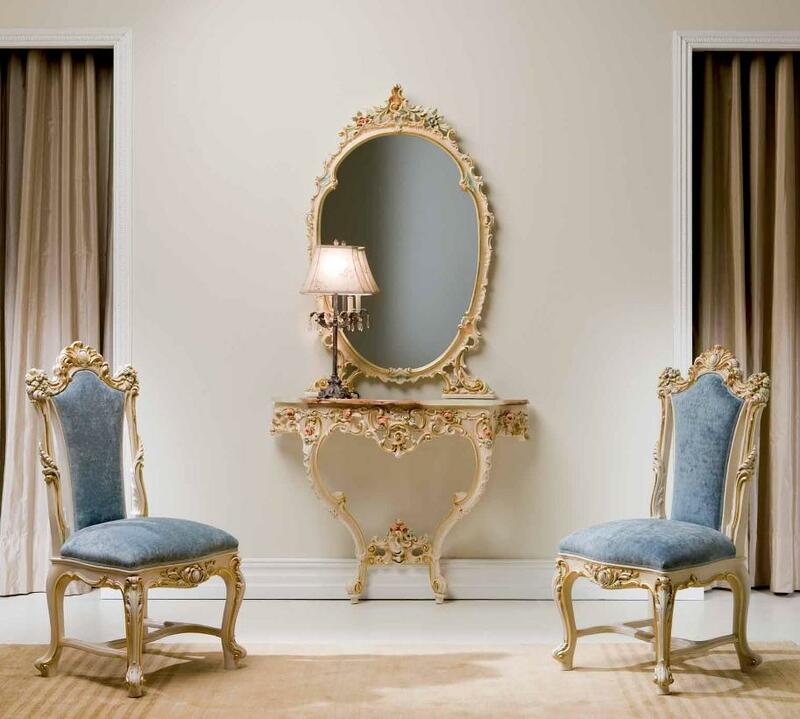 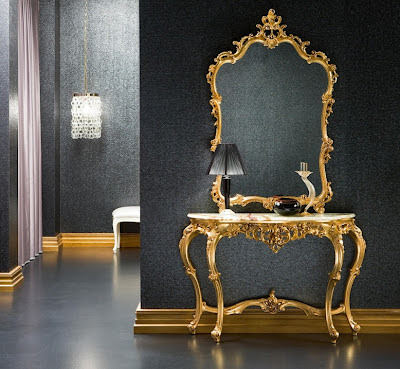 Hall console and mirror in Italian Style with two armchairs ,finished in Craquele ’ Ploychromed , topped with Parisian marble which enriches the console , it make a smart pair and both feature extremely delicate embellishments with pastel-colored floral carvings. . On the other hand , there are a four-legged Italian console with a luxurious gold leaf finish.